What do the Belarusian city of Polack and the French city of Lyon have in common? 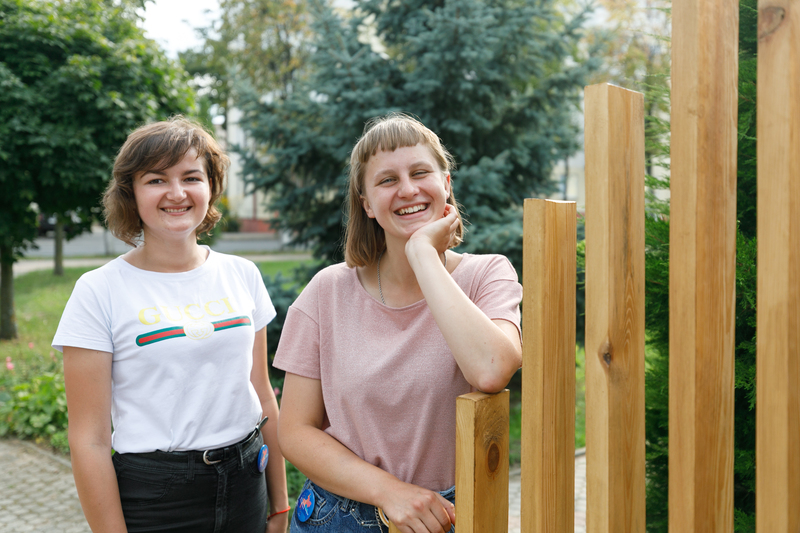 And how are local residents changing their regions in Belarus? Read on to find out. The European Union and Belarus are currently implementing four joint energy projects, with a total budget of over €3 million. With the help of the EU4Energy initiative, Belarus is developing wind power, its schools are becoming more energy efficient, a smart control system for water consumption has been developed in Čavusy, Braslaŭ is striving towards becoming the first climate-neutral municipality in Belarus, and over 40 Belarusian towns have joined the global movement the Covenant of Mayors for Climate and Energy. 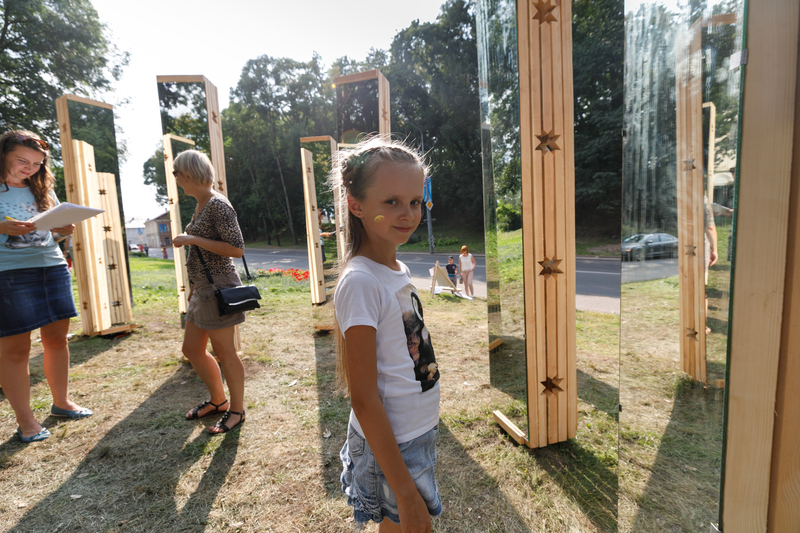 With the EU’s support, Belarusian towns have hosted so-called ‘Energy Days’ for the past six years, in order to promote the idea of energy efficiency among residents. This year, they took place in 27 settlements. In total, the 400 events that took place all over the country were attended by 16,000 people. Municipalities make their residents think about energy consumption with the help of hackathons, festivals, masterclasses, exhibitions and tours of hydropower stations. Polack has hosted Energy Days in each of the past six years, and this year’s celebrations took the form of a light festival. Such celebrations have been taking place in Europe for a long time, attracting thousands of visitors. The most famous events take place each year in Lyon, London and Berlin. 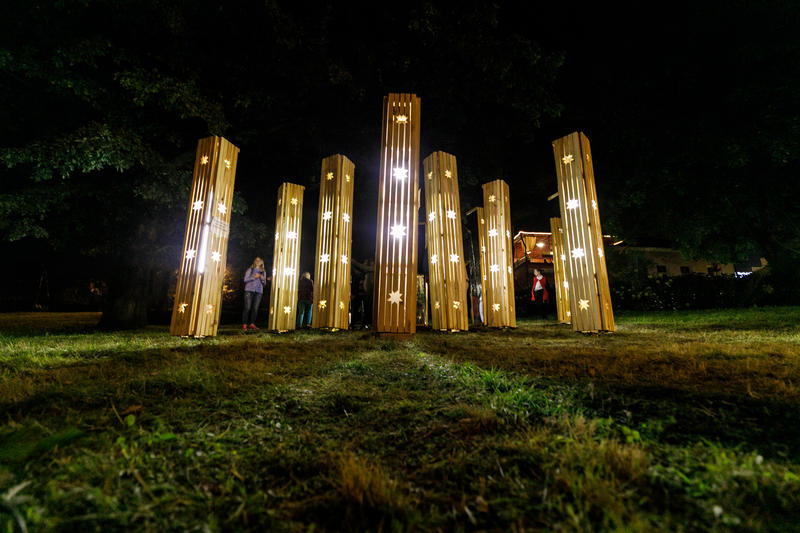 Polack Light Festival took place within the framework of the PubLiCity project, which is part of the Covenant of Mayors – Demonstration Projects programme and financed by the European Union as part of the EU4Energy initiative. As part of the project, regular street lamps on 16 streets of Polack will also be replaced with energy-efficient alternatives. ‘Ozone Sphere’ light installation at night. Visitors to the ‘Time loop’ installation. Menu in the café at Polack Light Festival. 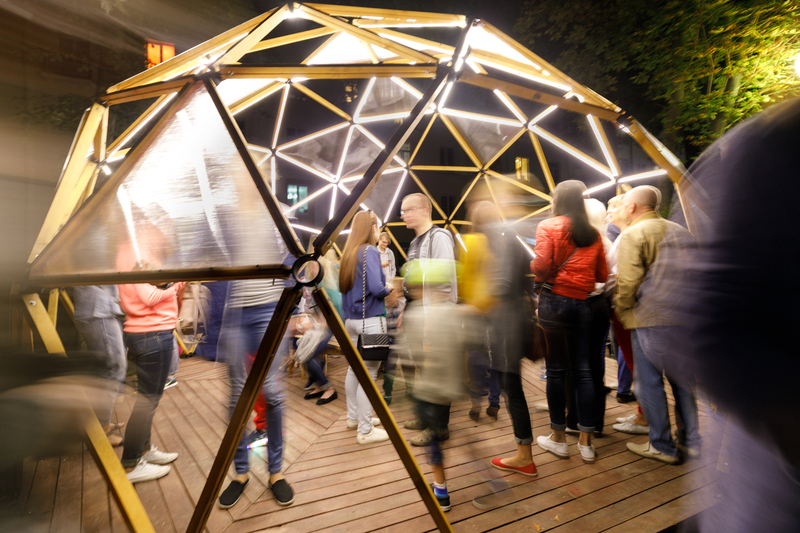 Within the framework of Polack Light Festival, ten light installations appeared on the city’s streets and over a dozen thematic events took place in the city, as well as online. The installations were developed by local school and college students, who participated in a special competition. 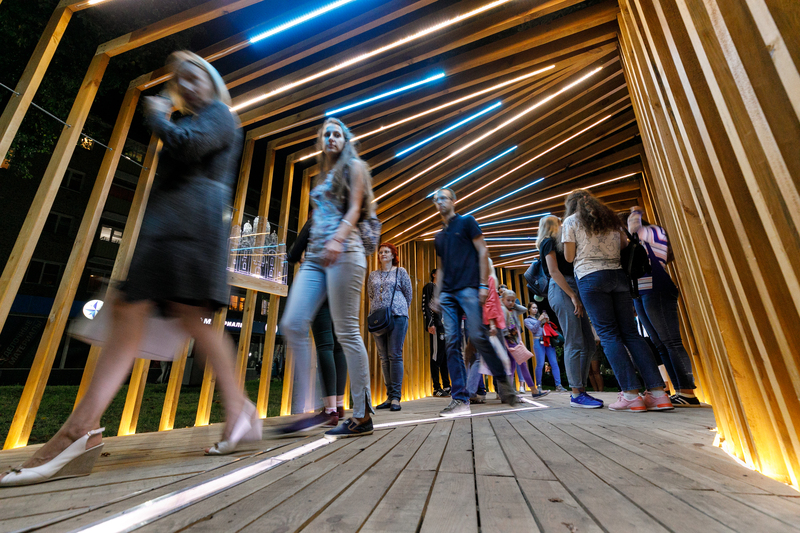 They wanted to show that lights can be not only beautiful, but also energy efficient. Builders of ‘Ozone Sphere’ installation. Creators of the ‘Stars’ light installation. 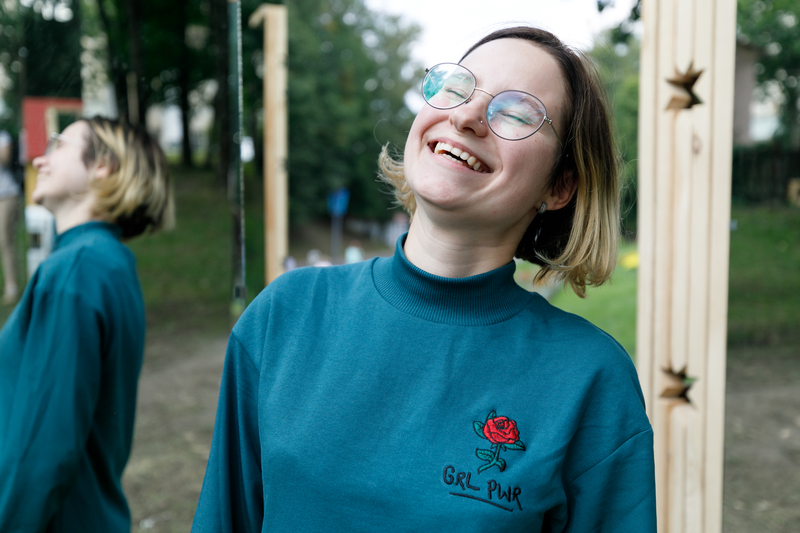 Nastya Nikitina, creator of the ‘Stars’ light installation. 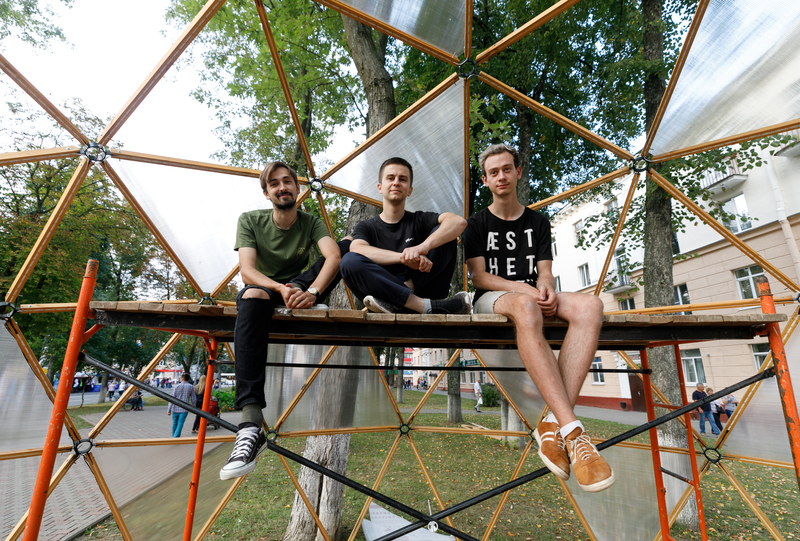 ‘I am originally from Viciebsk, but I am delighted to participate in the light festival in Polack. I think that for cities to develop it is important to hold such events in the regions. It is also crucial to support initiatives of people who want to promote changes in their towns and create new art objects there. Polack became the pioneer of the Covenant of Mayors in Belarus in 2012. Since Polack, a further four dozen towns have joined the initiative. These towns voluntarily pledged to cut their CO2 emissions by 20% by 2020 or 30% by 2030. Every third Belarusian lives on the territory of a signatory city of the agreement. 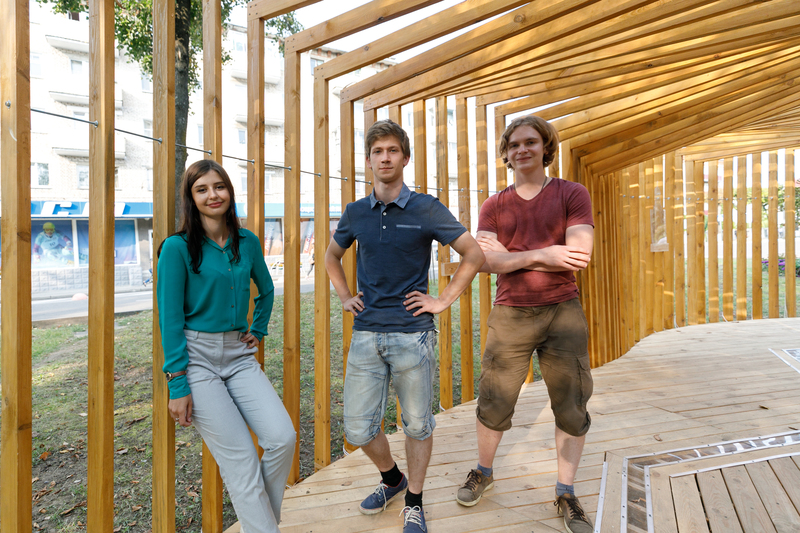 Creators of ‘Time loop’ installation. Polack Light Festival is an example not only for Belarusian regions. A Ukrainian participant of the Covenant of Mayors, the city of Chernivtsi, is also implementing a project to modernise street lighting and is planning to hold Energy Days in the same format as Polack did this year. 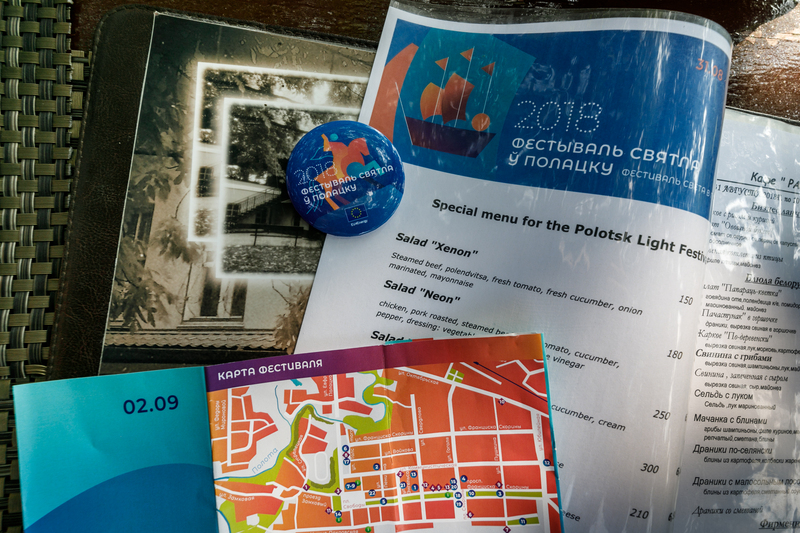 Polack Light Festival was included in the online calendar of light festivals that is maintained by LUCI (Lighting Urban Community International), an international organisation working in the field of street lighting. Through this, Polack Light Festival became one of the world’s well-known festivals of light, along with those in Lyon, Berlin, Paris and Brussels. Polack was the first city in the Eastern Neighbourhood region to hold Energy Days in the format of a light festival. 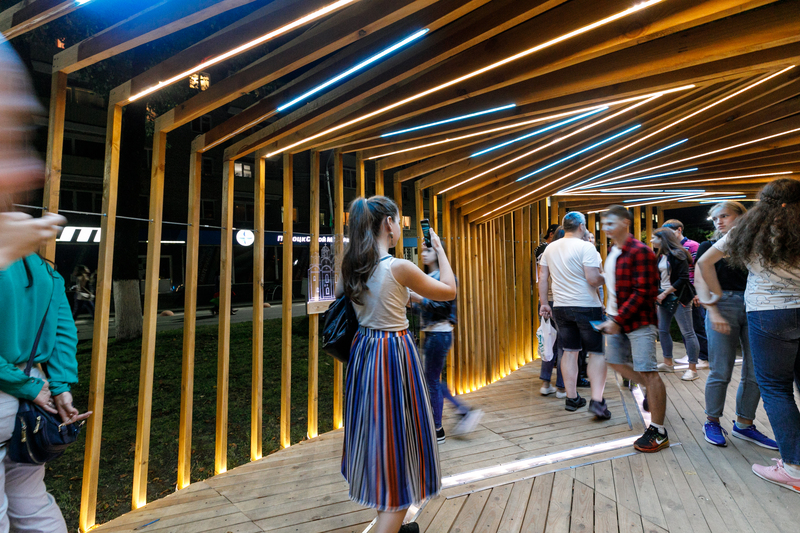 This is an example for other Belarusian towns of how to apply the European experience and attract the attention of a wider audience to energy-efficient ideas, all with the help of the art of light.